Step to the beat. Turn and slide. Get your hands in the air. Spin, dip, and get down. Is this a rhythmic gymnastics performance? No, though it might make a good routine. These are just some of the movements you might see anywhere people dance salsa, hip hop, swing, or ballroom. It also epitomizes physical literacy in action. Together with gymnastics, dance is probably one of the most comprehensive representations of physical literacy that we can imagine. 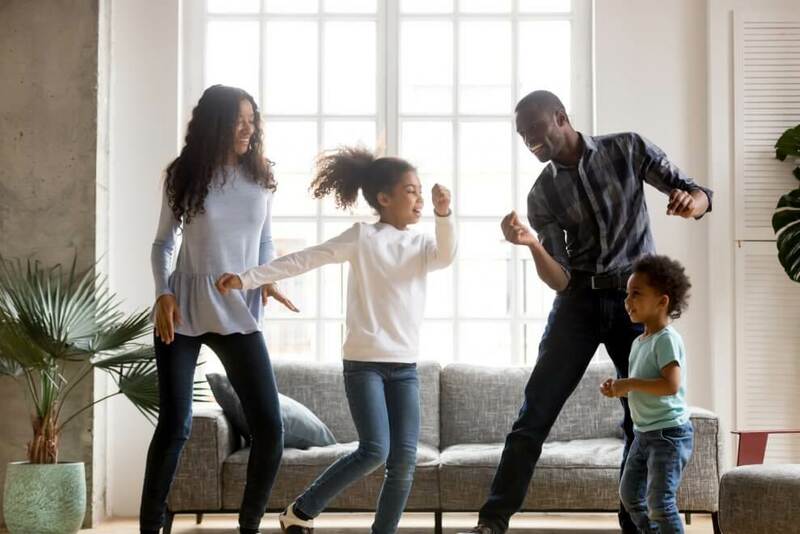 If you dance — even badly — you are exercising many of the physical capacities and movement skills that form the basis for movement competency in all areas of life. Dance styles and rhythms can vary greatly in complexity, but virtually all types of dance incorporate key elements of agility, balance, and coordination. In this light, dance may be one of the most overlooked tools for promoting physical literacy among children, youth, and even adults. A lot of discussion around physical literacy tends to focus on its relationship with sport. In North America, sport carries an aura of purpose and even practical importance, whereas dance tends to be seen as a frivolous artistic pursuit. This is a serious oversight. Dance doesn’t just develop artistic expression. It also develops coordination, strength, and fitness. It also appeals to broader audiences that may have no interest in playing baseball, soccer, tennis, or hockey. Importantly, dance also develops rhythm in movement. And rhythm in movement is essential to just about every sport skill you can imagine — whether it’s dribbling a basketball, skating on ice, or making a run-up to perform the high jump. In the health field, the importance of rhythm in movement has been recognized for at least two decades in the rehabilitation and maintenance of motor skills. Rhythmic “cueing” has been used for many years to rehabilitate stroke victims and Parkinson’s patients, and more recently to improve the motor function of children with Autism Spectrum Disorder (ASD). It’s not precisely dance, but the same underlying physiological principles apply. From available evidence, dance can surely be an effective tool in the promotion of physical literacy. But we may face a bit of a cultural challenge in giving dance more prominence in Canada. In Canada, on the whole, we don’t have the pervasive dance tradition that countries in Latin America and Africa have, and that is so much a part of indigenous cultures everywhere. Yes, we have dance academies and clubs in towns and cities across the country, but these are generally regarded as specialized art institutes that serve a relative minority of our population. For many people, dance is something you do only if you are an aspiring artist — or you have imbibed too much on Friday night and “lost control” of your body. In countries such as Brazil and Cuba, that’s not the case. Virtually everyone dances from the day they are born, and rhythmic movement is as much a part of daily life as eating and breathing. In Canada, should we be looking at ways to get more kids dancing? Given the physical literacy benefits, we probably should. Everyone wants a silver bullet for developing physical literacy, and dance comes pretty close. If you are a parent and you want to see your child develop strong movement proficiency, consider looking at dance programming at your local recreation centre or dance studio. Dance is an athletic activity as much as it is a creative art form. It could even help your child to become better in soccer, basketball, tennis, snowboarding, and more! Read more about dance and physical literacy on our dance page. Having fun with physical activity and art. At the same time!